The week between Palm Sunday and Easter Sunday is called Holy Week. During these days, we come together frequently for worship to witness closely God’s re-ordering of the world through Jesus. On Good Friday Jesus re-orders the world by choosing death for the sake of our life. For this reason the Father loves me, because I lay down my life in order to take it up again. No one takes it from me, but I lay it down of my own accord. – John 10:17-18 Knowing that God cannot deny God’s justice, and that we can never satisfy the justice of God, Jesus satisfies that justice through his very self. God gives God’s self so that we might be free from death. On Holy Saturday, at the Easter Vigil, Jesus re-orders the world through his resurrection, revealing that our freedom comes from our obedience in following him. Therefore we have been buried with him by baptism into death, so that, just as Christ was raised from the dead by the glory of the Father, so we too might walk in newness of life. – Romans 6:4 In Jesus, we see that placing our life in God’s hands is for God’s glory and our life made new. On Easter Sunday, Jesus re-orders the world by showing that our differences don’t divide us since we are united in him. Instead, they illuminate the expansiveness of God’s salvation. Peter began to speak to Cornelius and the other Gentiles: “I truly understand that God shows no partiality, but in every nation anyone who fears him and does what is right is acceptable to him.” – Acts 10:34 As followers of Jesus, we embrace our uniqueness and offer it to God in service of his mission in the world. Through Holy Week, we remember that we “belong” because we are all God’s creation, made from his infinite love. We also remember our “purpose,” which is to live in the hope of God’s salvation, made evident in our practice of loving our neighbor. *Belonging with Purpose is a weekly news update of how our purpose is being reflected through the collective and individual lives of St. Stephen’s. If you have a story or experience that you believe illustrates our Vision and Mission, please send it to Ginny Fitzpatrick, gfitzpatrick@ststephens-ridgefield.org The staff works together to create a schedule for highlighting our ministry as St. Stephen’s Church. One of the most significant teachings of Jesus centers on forgiveness. In what we call The Lord’s Prayer, he instructs his disciples to pray “forgive us our sins as we forgive those who sin against us.” This is no easy task. The Rev. Petero Sabune knows of its difficulty. Forgiveness has been an active part of his daily life for several decades. His work with inmates in Sing Sing, from which he recently retired, continuously provided him the opportunity to live forgiveness. His own experience of the torture and murder of several of his family members brought the evil of hate always close. The Rev. Sabune writes about this in his blog for The Huffington Post in 2015. This Sunday, April 14, The Rev. Sabune will speak about living forgiveness in a forum following 10am worship. Please plan to join us in Rector’s Hall at approximately 11:30am to hear and dialogue about forgiveness. The Rev. Sabune will speak from his experience of traveling to Rwanda in 2007-2009 with Catholic and Muslim chaplains from Sing Sing. Over the years they visited 10 prisons where priests and ministers were incarcerated for having taken part in the 1994 Genocide. These trips were made possible from a grant from Trinity, Wall Street. Within the last couple of years, Sabune has served as adjunct faculty at The General Theological Seminary, leading a pilgrimage with students to visit Archbishop Desmond Tutu, as well as incorporating them into his ministry at Sing Sing. Recently, February 25-March 2 of this year, he continued his work on forgiveness at Bishop Okullu Theological Seminary in Kisumu, Kenya and Rebirth Ministry in Harare, Zimbabwe. As you prepare for the conversation that he will make possible on April 14, I invite you to read the article on Forgiveness above, as well as his reflection on Prayer (below). The Rev. Sabune will also preach at both services. Bless, O Lord, this food to our use and us to thy service. And make us ever mindful of the needs of others. This was the simple prayer said before lunch every single day at the small, private school I attended on the banks of the Ashley River in South Carolina, many years ago. Thirty years later, it’s still one of my favorite go-to prayers, but today it also reminds me of the mission statement of one our areas most important outreaches, the Dorothy Day Hospitality House in Danbury, CT. If you spend any time in or around St. Stephen’s Church, you’ve no doubt heard of this facility, but perhaps you didn’t know that it’s based on the Houses of Hospitality founded by Dorothy Day during the Great Depression. It serves 60-80 hot meals every afternoon and can shelter up to 16 people each night. It is staffed entirely by volunteers, as it has been since it opened its doors to the homeless and hungry in 1982, on Spring Street in downtown Danbury. We have several members of St. Stephen’s involved in this missionary effort. There are individuals who stay overnight as a host. A group from St. Stephen’s serves breakfast on the first Monday of the month. Having cooked the main egg course on Sunday, they gather in the church parking lot at 6am and carpool to Danbury to serve 75-80 people. Our work is over around 9am. If you would like to be a part of this, please email Linda Hutchings ljlpep@aol.com or give Ginny a call in the church office. Additionally you can support this effort by contributing to the Change the World container in the narthex on Sunday morning. I am grateful that, as my church, St. Stephen’s keeps me “ever mindful of the needs of others” with its long-standing ties to Dorothy Day House, embodied in yearly mission fund donations, dedicated parishioner volunteerism and promoting critical awareness of the aid that it—and other organizations like it—provide on a daily basis in our area. When we share our bounty, we truly live God’s commandment to Love Our Neighbors. And I for one am thankful that St. Stephen’s Church gives me a neighborhood map to do just that. Christianity must again prove its worth in answering the deepest questions of the human heart with clarity and purpose. St. Stephen’s is embarking on significant change. The structures that served God’s work in the world so effectively in the past (at least as we remember it) no longer meet the needs of the changing world in which we live. At the start of 2017, we began an effort to articulate our purpose in Ridgefield and the broader community. One outcome of the year was a new Vision statement and Mission statement. Our Vision- A world made whole by God’s transforming love in action. Our Mission- Embracing and living God’s commandment to love our neighbor- through worship, stewardship, and service to others. God’s mission is sustainable because people find the time and money to dedicate toward responding to the needs of a hurting world. By prioritizing our collective efforts which feed the hungry, house the homeless, visit those who are sick or in prison; and which draw us into prayer and study of scripture, so that we might encounter the living and loving God in the immediacy of our daily lives, we discover that God has provided us with more than enough to do God’s work in the world. We are transformed from a community focused on our own scarcity and inadequacy, to a focus on the abundant provision of our generous God. People wonder if God really can address the places where we feel most vulnerable. 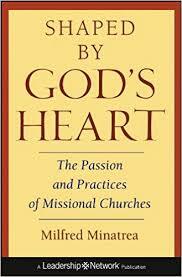 By becoming a missional church, we can show them that- YES! – God really can. One of the advantages of being a member of St. Stephen’s is the wealth of activities that are open for participation. In October of 2015, Life-Long Learners was launched with this mandate: To provide a welcoming environment to discuss the challenges of living in the post-60s phase of our lives, helping us to clarify our path, draw some conclusions, be affirmed and supported in our decisions, and give us new insights and perspectives. Since then a stalwart group of mostly women have met monthly to discuss books that will hopefully stir discussion and send us into our spiritual community and the greater community with a renewed conviction of what it means to be a Christian at this stage of our lives. The selections range from novels (A Man Called Ove; The Light Between Oceans; The Secret Diary of Hendrik Groen, 83 1/4 Years Old) to memoirs (The Year of Magical Thinking; The End of Your Life Book Club) to historical fiction (The Women in the Castle) to children’s literature (A Wrinkle in Time) to drama (Southern Exposure) to graphic novels (Can’t We Talk about something more Pleasant?). We also read books related to spirituality (The Liturgical Year; Falling Upward: A Spirituality for the Two Halves of Life) and a lot about aging since this is a defining issue as one reaches the 60s and 70s and beyond (The Gift of Years: Growing Older Gracefully; Aging with Wisdom: Reflections, Stories & Teachings). Some books deal with the challenges of aging especially death and dying (Being Mortal: Medicine and What Matters in the End; In the Slender Margin: The Intimate Strangeness of Death & Dying) and some push us to think about the challenges of this phase of life (The Gentle Art of Swedish Death Cleaning: How to Free Yourself and Your Family from a Lifetime of Clutter; Find the Good: Unexpected Life Lessons from a Small-Town Obituary Writer). What makes a book “perfect” is when these themes overlap in one book, which fortunately has happened many times. Two books have come to us from the diocese: The Book of Joy: Lasting Happiness in a Changing World and our February book, Rising Out of Hatred: The Awakening of a Former White Nationalist. This book has led some in the parish to explore racial divisiveness. When any book causes us to change our thinking it has made an impact. Our March book is a book of essays by the renowned and recently deceased Ursula K. Le Guin: No Time to Spare: Thinking about What Matters. Her essays explore the world of literature, politics, grandparenthood, and ownership of a unique cat. In April we will meet Doris, a female Ove or Hendrik Groen, in a book rich with memory, history, and heart. Various members have stepped up to lead the monthly discussion, and we are eager to continue to explore the many literary offerings that will continue to improve our lives and create a caring community. The Episcopal Church supports creative liturgy and experimental worship, as long as it keeps to the teaching and polity of the Episcopal Church. We are excited to offer such an opportunity this Saturday, March 16, at 5pm in North Hall- YogaMass. The Rev. Gena Davis, an ordained Episcopal priest and founder of YogaMass will lead us in the service. She is from the Episcopal Diocese of Texas. The service will include music led by Miriam Zernis who has been leading sacred music events since 2007 in NY, CT, Costa Rica, Canada and Europe. People of all levels of yoga experience are welcome. Attendees are asked to bring a mat and water bottle. and loose clothing or yoga clothes are recommended. Chairs will be provided for those who prefer chair yoga. This service embodies our mission “To embrace and live God’s commandment to love our neighbors – through worship, stewardship and service to others.” It is also an example of the church working across assumed boundaries as we are partnering with St. Andrew’s, Stamford and St. Luke’s, Darien in making this possible. We are delighted that Gena will also preach at both the 8:00 AM and 10:00 AM services on March 17 where she will reflect on her experience this week presenting YogaMass to the 63rd United Nations gathering of The Commission on the Status of Women in New York City. Our ability to make the difference in one person’s life makes all of the difference to us. SafeRides and St. Stephen’s have been in relationship for some 25 years. SafeRides is a club which requires an organization’s sponsorship. St. Stephen’s agreed to sponsor SafeRides in Ridgefield more than two decades ago. Eliza Shanley and former parishioner, Bill Snellings, both shared their value of this program with Whitney when they were first talking with her back in 2012. Every Friday and Saturday night youth volunteer their time, hanging out on campus with adult chaperones nearby. They have provided thousands of confidential safe rides home- no questions asked- to the youth of Ridgefield. Each year approximately 200 high school students volunteer to provide this important service to their peers. Although the program has a team of adult advisors, with our own Nicola Evans among them, it is essentially run by student volunteers. Support and training are provided by Officer Fernando Luis, a Ridgefield Police Department member and Ridgefield High School (RHS) Resource Officer, and Chief Jerry Myers of the Ridgefield Fire Department. According to Chief Myers, “Since SafeRides has been in operation, we have not had a serious accident involving teen drivers during the hours that SafeRides operates. If there was no other reason to support the program, that fact alone would be enough, but there are plenty more.” See www.saferidesofridgefield.org. Chief Jerry Myers grew up attending St. Stephen’s. His father was the Sexton here. SafeRides has its annual fundraiser by offering our Pancake Supper on Shrove Tuesday. The adult advisors of SafeRides acknowledge the support of Chris Sexton of Hoo Doo Brown BBQ, Heather Neumann Salaga and Stefanie Westwrick. They also acknowledge the commitment of RHS students who are team captains: Eleanor Andresen, Yohann Britto, Emma Brody, Jack Dowd, Dylan Flood, Arden Grant, Cate Irving, Bianca Labuschagne, Claire Middlebrook, Sophie Reale, James St. Pierre, Caitlin Slaminko, Clay Vaughan and Quentin Vergara. SafeRides addresses a need in our community. Our (St. Stephen’s) willingness to support this program shows our willingness to support people in life, without judgment. Ginny Fitzpatrick picked up a voicemail at the office one Monday morning in which a mother was thanking us for hosting SafeRides. Because of this program, her daughter got home safely that weekend. Our ability to make the difference in one person’s life makes all of the difference to us. Special thanks to Linda Berry for writing most of this story. Jesus gave us clear directions; “But I say to you who hear, do good to those who hate you.” Christ is our best example of these words. This is the not only what he talked about, but the truth that Christ practiced and lived by, and as imitators of Christ, what we also should live by. If we are going to summarize this message into three words, it could be: “Attitude is Everything!” The spirit in which you do something, is often even more important than the action itself. If you do something begrudgingly, it is not at all the same as doing it willingly. ’Do unto others’ … This is a concept that essentially no religion misses entirely. The idea dates at least to the early Confucian times and this concept appears prominently in most of the world’s major religions; Buddhism, Hinduism, Judaism, Taoism, and Christianity but how do we, as Christians live out this concept? In many circles, such aggressive behavior is not only condoned but is celebrated. In some cases, truly evil people deliberately inflict injury on others for no apparent reason. We can perhaps understand the person who would steal something of value. It is more difficult to understand a person who would set fire to a church because of racial hatred or shoot a passerby for a quick thrill. In such a dog-eat-dog world, reciprocity seems positively enlightened. It does not seek to inflict injury except in cases where injury is deserved. Its goal is fairness. The bad person suffers, and the good person prospers. It is as it should be. For example, I grew up with the story of Robin Hood …. stealing from the rich to give to the poor seemed like a noble thing to do. And yet Jesus tells us that reciprocity is not what we should be doing. Just as God goes beyond justice to mercy, we are to do the same. It is a hard lesson, one that goes against the grain. It is un-natural. We can move beyond justice to mercy, but only through the grace of God. Jesus clearly establishes that we, as his disciples, are not to allow people of lesser principles to set the agenda. We are not to wait to see what the other person will do before we decide what we will do. Nor are we to be trapped in a vicious cycle that someone else starts. Instead, we are to seize the initiative by loving, doing good, blessing and praying. These behaviors might seem weak in the face of hatred and violence, but Jesus transforms them. He demonstrated at the cross how powerful they can be. On the cross, he did not curse his enemies, but prayed for their forgiveness. I’m not talking about “please give that person what they have coming to them” prayers. But I also don’t mean that you need to spend an hour each night asking God to pour blessings upon them. There’s a way to pray both for justice and for the hearts of those committing injustices. Praying for your enemy opens you up to the work of the Holy Spirit in your heart. I once discussed this very subject with a minister and said “I just don’t think I can pray for them” Her suggestion was very helpful; If you really cannot do it then imagine placing them at the foot of the cross and asking Jesus to forgive them until you are able to. Loving your enemy does not mean you have to add them to your Christmas list, or make them your best friend. It doesn’t mean you excuse their actions. It means you forgive them, because you know that you have been forgiven by a loving God. Therefore, you forgive with the knowledge that God is both merciful and just. We have many examples of love, forgiveness and peaceful resistance from Francis of Assisi and Saint Stephen, to Ghandi, Nelson Mandela and Martin Luther King, Jr. They have proven the power of love through the centuries. Love wins! It overcomes the world! In his book, Strength to Love Martin Luther King Jr. states that forgiveness is the decisive factor in how much you can love your enemy. I believe he is right. We can look at examples like the Civil Rights movement, and the Truth and Reconciliation Commission in post-apartheid South Africa, where we see clearly that only when we treat our adversaries as humans—no matter how flawed—can we hope to prevail in our cause: the cause of ultimate justice. The belief that God will eventually set all the wrongs to right. One of the most humble people I have ever met is a perfect example of doing God’s work in a humble servant way. Kenneth Hauk started Stephen Ministry back in 1974. It has since grown to be a huge, flourishing International Ministry in churches all over the world. For those of you that don’t know about it, Stephen Ministry is a wonderful program where trained lay people minister to those in their congregation needing care, whether it is a short term crisis situation or longer term. Kenneth Hauk started this ministry because well-meaning friends just didn’t know what to say or do to help when his wife was dying from cancer. As a minister he realized people are willing to offer care, they just don’t always know how best to do it. …So he began Stephen Ministry; training volunteers to visit other church members in a one-on-one confidential, Christian, caring relationship. I have been privileged to have many conversations with Kenneth Hauk as I attended Stephen Ministry Training and Leadership training over the years. The feeling one gets when speaking with him is that yes, this ministry is an extension of his own service in God’s name. These trained laypeople go out worldwide to care for others and it has to be that the Holy Spirit is in each of those caring relationships. I have been a practicing Stephen Minister for more than sixteen years and during that time I was blessed to have a dear friend alongside me to lead the program and help me train other Stephen Ministers. Jim was my buddy and having him as my partner meant that we trained equal numbers of men and women for this ministry as Jim pointed out to the guys that all men can be vulnerable and all need God’s help from time to time. He, for me, exemplified this scripture passage. He lived it. He was certainly no saint in his early years but turned his life around when he joined the church and my goodness he demonstrated God’s love as he ministered to those who were suffering, perhaps the loss of a child or a job, perhaps someone suffering from alcoholism…whatever the need Jim ministered to folks confidentially and always said that He got more from the caring relationship than he ever gave out. He lived out “Love your enemies, do good, and lend, hoping for nothing in return.” I mention this because Jim died ten days ago. And the legacy my dear friend left behind is not riches, accolades or possessions…. It is love and care given out freely as a humble servant. What an astounding way he lived out Jesus instructions… sometimes it is only when someone is here no more that you suddenly realize just how many people they helped and how much good they did. So I hope to use the example of his life and legacy. I hope to build on the possibility for Stephen Ministry here at St Stephens, I will strive to offer the kind of care and compassion as my friend Jim did…but also following his example and striving to do always do those things as a humble servant. We know that when someone turns their life around and becomes a ministering presence in this way it is only by the Grace of God. It is only by showing love to our enemies, and doing good to those who hate us that we display to them the love of God. And maybe, just maybe, if we show them the love of God, they will experience something they have never experienced before, and will want more of it. I often hear parents tell me that their child isn’t engaged during the service and really isn’t interested in what’s going on. I believe the issue isn’t that they’re not interested, but that they don’t have a grasp on what’s going on around them. The goal of the Children’s Ministry at St. Stephen’s Church has been to introduce children to the Gospel in an age-appropriate way. Through stories, games, activities and crafts we have created an interactive, fun environment for children to develop and strengthen their relationship with God. This year, the Children’s Ministry has had the pleasure of introducing a brand new program to the families at St. Stephen’s. Children’s Chapel occurs on the First Sunday of each month and teaches children about the different aspects of our church service. I often hear parents tell me that their child isn’t engaged during the service and really isn’t interested in what’s going on. I believe the issue isn’t that they’re not interested, but that they don’t have a grasp on what’s going on around them. During each Children’s Chapel lesson, the children are introduced to a different aspect of our Episcopal church service. So far, we have covered many areas throughout the year. The children have discovered the four books of the Gospel and how the stories they love came into existence. We have helped them understand the different narratives and voices used to tell the stories of the Bible. Now when they hear the Gospel reading during the service they listen for which book it’s from and they understand a bit more about why it’s important to learn these stories. The children have also had the opportunity to learn about the Sermon. We talked about the process of writing a sermon and how it relates to the Gospel story from that day. The children were in awe when they realized that Mother Whitney must write a brand new sermon each week! They even had a chance to choose a Gospel story they love and to write their own sermon. It was amazing to see how easily they were able to relate the stories to their own lives. I think sometimes we forget just how much these children can comprehend and how willing they are to learn. One of our favorite events at Church School is when there’s a baptism scheduled during the service. The children love to watch as a brand new church member is welcomed into our St. Stephen’s family. They follow along with the prayers and wait anxiously for the water to be poured over the child. We spent time during one of our Children’s Chapel sessions discussing what baptism means in relationship to each of them when a new child is baptised. We explained that the newly baptised is now a part of our church family and each of them are asked to help guide them and teach them about God. By putting baptism in those terms, the children are even more excited to be a part of their church community. They feel a sense of belonging and responsibility. We still have many more First Sundays to spend together; learning about our church. In the next few months we’ll be learning about Ash Wednesday and why we come to church to receive ashes. We’ll learn about the Altar and the symbolism and purpose of what we see and the tools used during the service. We’ll also take a close look at Communion and begin to learn about why we take communion and how important it is to join in this sacred tradition. It has been such a blessing to see the church service through the eyes of our children. Their wonder and curiosity is contagious. The discussions we have and the questions they ask are proof of how important it is that we continue to nourish and feed their curiosity through these lessons. Our youth Leaders have learned about how faith can inform actions, analyzing financial metrics, and presenting their results to adult audiences. Many of you know that we created a process for faith development and engagement here at St. Stephen’s, Ridgefield. Jane Lindenburg, Rich Stein, and I developed something we call Global Philanthropy Leaders.